Put your foot down on the accelerator and increase the speed of your driving lessons with Edwards. Our intensive driving course in Salisbury (crash course) is a specially designed driving course, incorporating over 30 years wisdom in the industry. We have tailored the intensive driving course in Salisbury to cover all aspects of the driving syllabus in a short amount of time in order to get you through the test in as little as 1 week! Take individual driving lessons or any intensive drive course in Salisbury? You can pass your driving test a lot quicker. Booking in longer blocks means you can fit them in with your busy schedules without dragging out the length of time of your driving course. Perhaps you need a driving license for new job lined up in Salisbury, or maybe you don’t want to catch the bus to Salisbury Sixth Form College. If so then the intensive driving course in Salisbury is for you. Intensive driving course…What does the ‘intensive’ part mean? ‘Intensive driving course’ is maybe the wrong term, and we don’t know which genius coined ‘crash driving course’ being in the driving school business. Block driving course would be more suitable. Driving blocks can be as short as 3 hours, or as long as you feel comfortable. This is entirely up to you. You may opt to do 3 hours per day over 10 days while studying at Wiltshire College, or 6 hours per block once a week over the course of a month. But how many hours will I need you say? 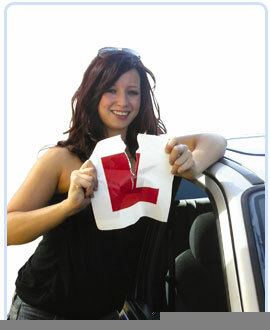 The beginners crash driving courses in Salisbury are usually an initial 25 hours. Why? Because this is nearly always the bare minimum to get you driving test ready. Now we’re not saying you won’t need more driving lessons after this, because maybe you will, but after 35 years in the business we’ve found this is a good starting block. The 25 hour beginners intensive driving courses based in Salisbury are £695. This includes the driving test fees, free plus driving course and other benefits mentioned in a moment. What do our former pupils have to say? What is structure of the intensive driving course in Salisbury? Driving lessons will be based on test routes around the local test centre (Rougemont Road). By the end of the intensive driving course you will be comfortable and confident with the test routes and all aspects of driving. To book please contact head office on 01202 751959 or 07929 661 714, or contact us via email. The intensive driving courses cover Salisbury and all surrounding areas including Wilton, Amesbury, Andover, Idmiston, Warminster, Shaftsbury, Verwood, Fordingbridge and Southampton.